﻿We know you might have some questions about our products, therefore we've taken the liberty to answer some of the most frequently asked questions we receive. Hopefully we've answered your question below, but If we haven't feel free to send us an email with your question and we will reply to you as soon as we can. How do the watches work? How do I monitor my child from my mobile device? The watches come with an APP that gets installed onto your mobile device (Android & IOS). Once the App is installed onto your phone, the watch is paired with your mobile device through a unique key. 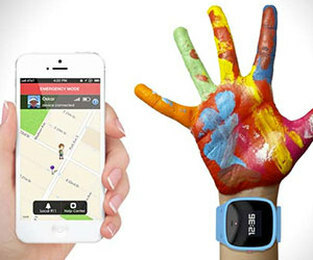 Once the pairing is complete you will be able to monitor and communicate with your child through the watch. Can more than one person monitor the same watch? 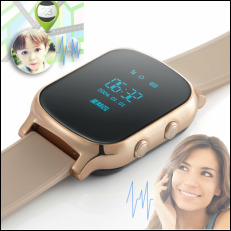 Yes, the same unique watch Key can be linked to multiple mobile devices, allowing for more than one person being able to monitor the child. Can I monitor more than one watch from my phone? Yes, the mobile APP allows more than one watch to be linked to it. Does your product carry any warranty? Yes, all products in our range comes with a one (1) year warranty which covers manufacturing defects in materials and workmanship. Click here for our complete warranty. 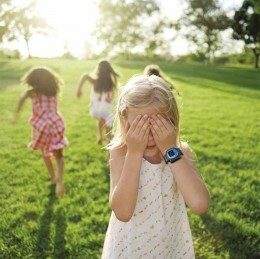 How is my child protected from unsolicited calls & sms messages? All watches are designed to communicate only through a “White List”. This means that your child can only receive calls from contact numbers which YOU have approved. In the same way the child can only call “White Listed” numbers from the watch. How regularly do I need to charge the watch? Most of the watches in our range have got a Standby time of between 24 to 96 hours. However, power use might vary based on the actual number of calls made, as well as the signal strengths of the mobile network connectors. Most of our watches carry an IP65/IP67 water resistance certification and will be able to withstand the day-to-day incidental water splashes, however currently there is NO GPS safety watch that is waterproof. Where do I find my OtiumT58 unique watch ID (IMEI) ? The watch ID number is located on barcode sticker on the front of the actual container in which the watch was packaged. It is a 10-digit number that is uniquely assigned to your watch. Can't remember my username and password? The log in for the Otium watches are case sensitive. Make sure you enter the correct username and password that used when you registered your watch on our App. In the event that you cannot remember your username and password, you will have to sent an email to SUPPORT@OTIUM.CO.ZA requesting that we reset your login details on our server. Remember to include your surname, watch id number (IMEI number), your id number and the mobile number of the watch in your email. Resetting your login details can take up to two hours.